A new story begins. BUCKLE UP. Menawhile: did you see all the fun art I drew for Inktober and Halloween? You can see 'em all in the gallery right here! 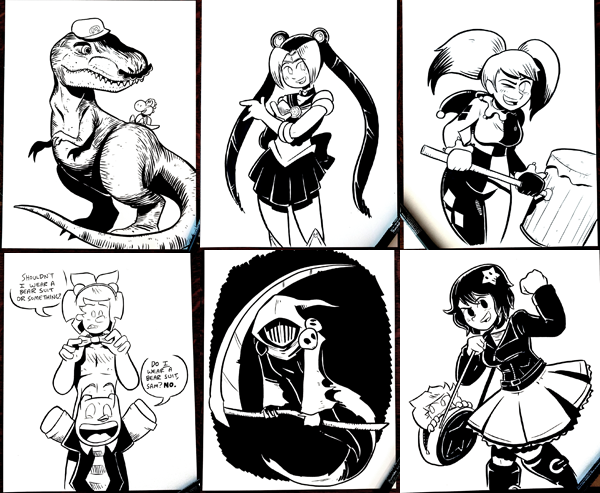 And if you're interested, I'm selling the originals... some have already been scooped up, but a bunch of fun ones are still up for grabs, most of 'em for $35. Know your corgs, friends. You never know when it might come in handy! 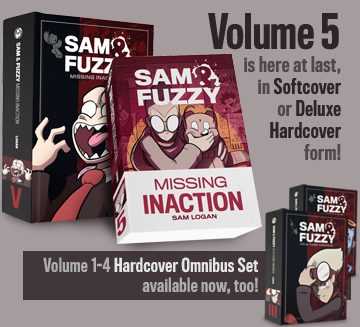 But next week, we're back to business as usual, as we jump into our next big chapter of Sam and Fuzzy. Hold onto your butts! See you on Monday. Inktober/Halloween originals up for grabs! Today: a candy-coated coda to the holidays. 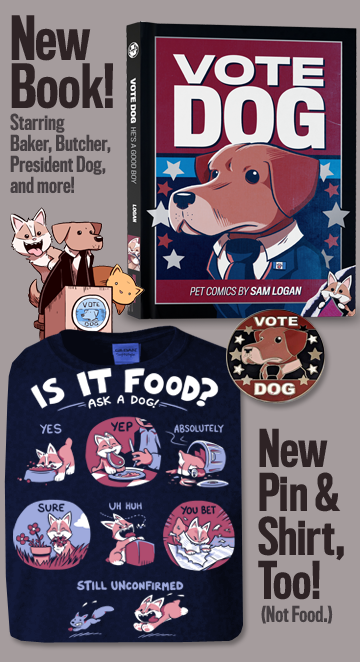 Then I've got one last piece of stand alone goofiness for you on Friday, before we leap headlong back into the next chapter of Sam and Fuzzy on Monday! Come back on Friday for more comics. See you then!